The Hautes-Pyrénées is a department in south-western France and is part of the Midi-Pyrénées region. 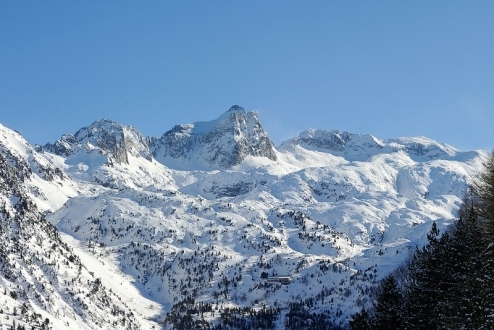 The department consists of several distinct geographical areas; the southern portion consists of mountains such as the Vignemale, the Pic du Midi and the Neouvielle and Arbizon ranges. The Northern part of the department consists of largely flat agricultural land. A third area consists of low-altitude rolling hills. 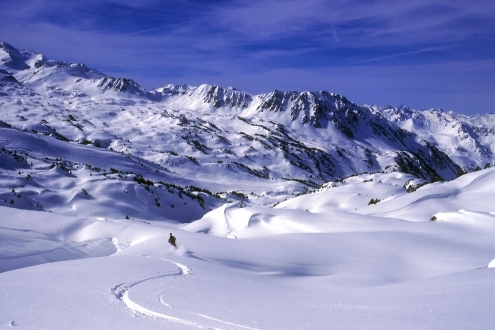 The Hautes-Pyrénées as its name implies is an high altitude mecca for winter sports; there are 35 summits measuring over 3,000m high and 34 mountain cols in the department making it a winter sports paradise. Each year more than 100,000 people take the cable car up to Pic Du Midi (in La Mongie). The largest ski resort in the whole of the Pyrénées. 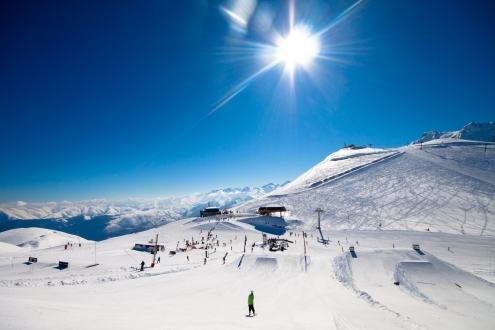 “Grand Tourmalet” is made up of La Mongie and Barèges and has 100km of pistes. 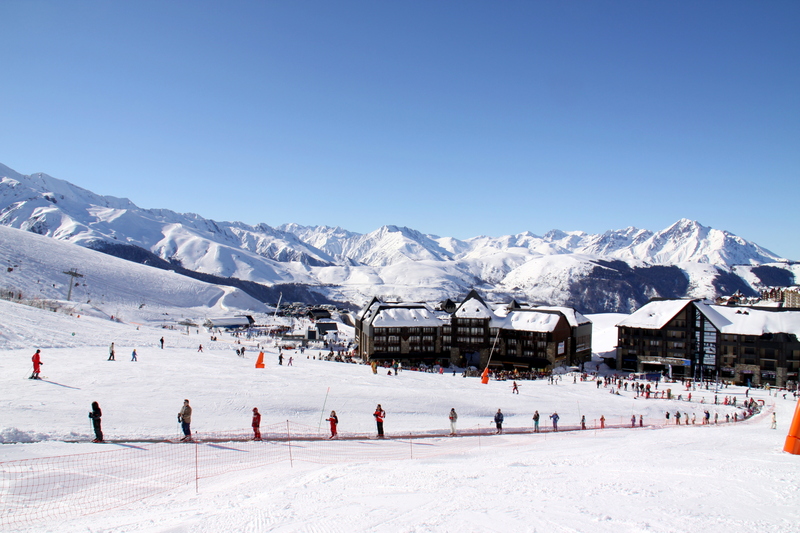 Other Hautes-Pyrénées ski resorts of note are Luz-Ardiden (Luz Saint Sauveur), Peyragudes, Saint-Lary-Soulan and the snow sure Cauterets. 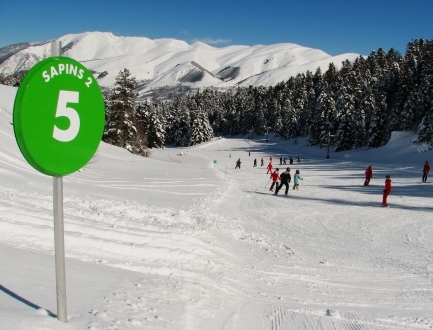 There is an abundance of activities in the Hautes-Pyrénées in winter time. As mentioned skiing and snowboarding is a top winter past time here but as well as this there are many other snow based activities such as husky sleigh rides, sledging, snow tubing, piste-basher rides, , snow-mobiling, night-skiing, snow-buggy, Laserball and the formidable free-riding down from Pic Du Midi (see individual resort pages)! The Nordic sports of cross country skiing and snow shoeing are very popular in most Pyrenean resort and most of them have dedicated Nordic areas. The most famous of these is “Pont D’Espagne” in Cauterets and Campan-Payolle (near la Mongie and the smaller valley resorts of Lesponne and Bagnères-de-Bigorre). The Hautes-Pyrénées has a wealth of natural and historical attractions. With over 300 lakes, 2,600 km of rivers, 150,000 sheep, 1,600 hectares of vineyards and 600 churches and chapels there is plenty to do in this area. The Pyrénées National Park covers an area of 45,700 hectares and includes well-known attractions such as the famous “Pont d'Espagne” near Cauterets and the UNESCO listed Cirque de Gavarnie near Luz saint Sauveur. Gavarnie is the birthplace of Pyrenean Mountaineering and the entire area of the National Park is a favourite destination for hikers and mountain enthusiasts. Néouvielle Nature Reserve covers an area of 2,300 hectares and is a sanctuary for Pyrenean flora and fauna. The natural jewels in the reserve include lakes, granite mountain ranges and mountain pine forests. The area is perhaps historically renowned for its hot springs. Several towns were built around these, most notably Cauterets, Luz-Saint-Sauveur and Bagnères-de-Bigorre. The thermal spas rose to prominence in the 19th century and are famed for the medicinal properties of their mineral rich waters. A visit to the Hautes-Pyrénées would not be complete without a visit to one of the many spas. Spas are not the only waters that are regarded as having healing properties. The spring water in the pilgrimage town of Lourdes is claimed to have healed the sick. Lourdes is now a mecca for pilgrims and tourists alike. The torchlight procession set against the backdrop of the Gothic style basilica is a wonderful experience to witness. For those who err more towards the scientific, the Pic du Midi Observatory, set above the ski resort of La Mongie, offers star gazing set high above the mountain tops from what appears to be an impossibly perched platform. The views are amazing and give a 'top of the world' feel. Festival abound in the department over the summer and winter months, celebrating the rich cultural and natural heritage. Tarbes hosts an annual horse festival, Equestria, and a Tango festival, Tarbes en Tango, but perhaps the most notable festival is the region's premier avant-garde jazz festival is held each year in Luz-Saint-Sauveur: Jazz a Luz. Region: Belonging to the Midi-Pyrénées (along with: Ariège, Aveyron, Haute-Garonne, Gers, Lot, Hautes-Pyrénées, Tarn, Tarn et Garonne. Highest point: Vignemale Mountain (3,298 meters). Grands Sites du Midi- Pyrénées”: Four (Pic Du Midi Cable car; Cirque de Gavarnie mountain cirque; “Pont D’Espagne” site of natural beauty; Lourdes pilgrimage site. Thermal Spa Resorts: Eight (Cauterets, Luz Saint Sauveur, Bagnères-de-Bigorre, Barèges, Argelès-Gazost, Saint Lary, Genos-Loudenvielle (Peyragudes, Louron valley), Capvern Les Bains). 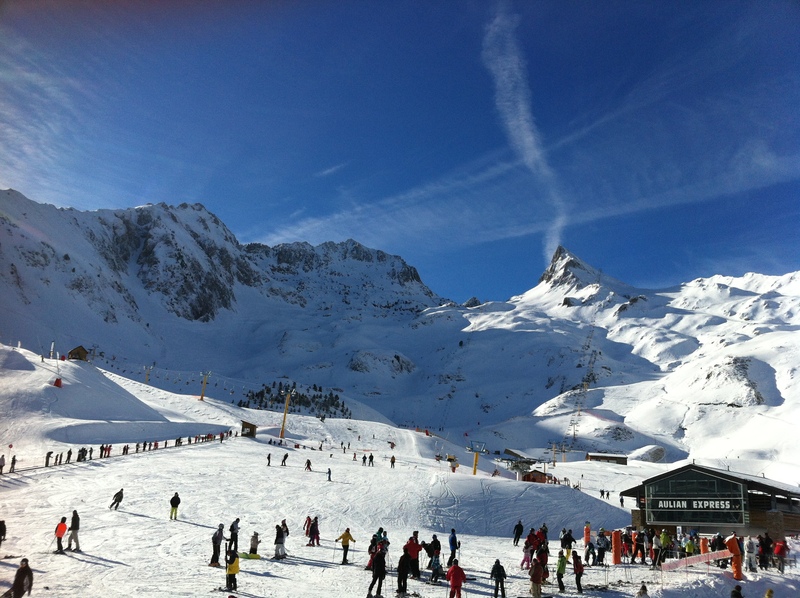 La Mongie is the main resort of “Le Domaine Du Grand Tourmalet” - the Pyrenees’ largest ski area. 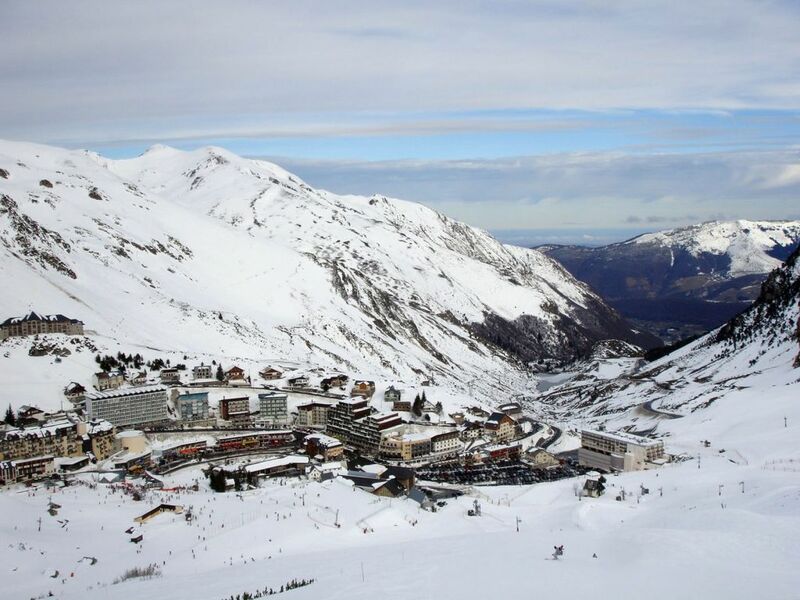 A modern purpose-built resort, with doorstep skiing it has over 100km of pistes that straddle the famous Col Du Tourmalet. The panorama of the Pyrenees from the “Pic du Midi” is breathtaking - even more so after free-skiing down from it! 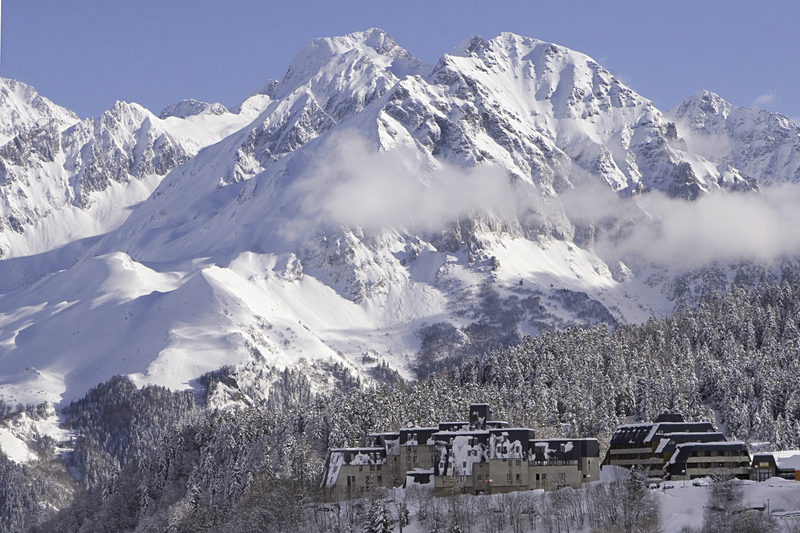 Barèges is an authentic Pyrenean village within “Le Domaine Du Grand Tourmalet”, the Pyrenees’ largest ski area. A small and intimate village with the River Gave de Pau running through it, its reputation is built upon the healing powers of its waters. Today Barèges combines excellent skiing (5 minute bus ride) and healing spa relaxation making it an ideal winter sports destination. Situated in the Pyrenees National Park, near the Spanish border, Peyragudes ski resort straddles the peaked mountains above the small village of Loudenvielle in the Louron valley. 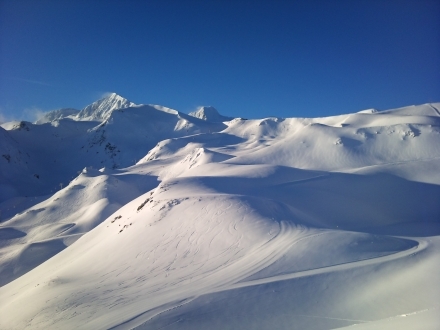 Peyragudes is a modern purpose-built facility with a traditional welcome offering high quality snow coverage and challenging slopes for all abilities. The famed Balnea Spa in Loudenvielle is a must. 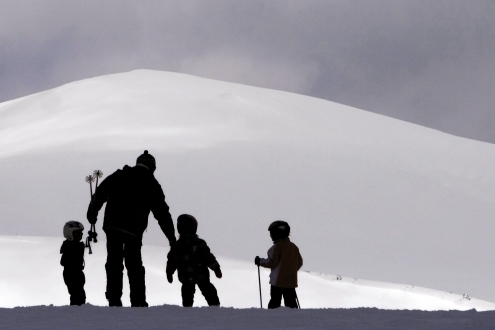 Located in the department of Hautes-Pyrénées, Val Louron is perfect for families and novices. Access to the “Balnea” thermal spa ensures relaxation and fun for the family. The extreme beauty of the traditional Pyrenean villages in the Louron Valley is evident as it sits atop the Col d'Azet mountain. 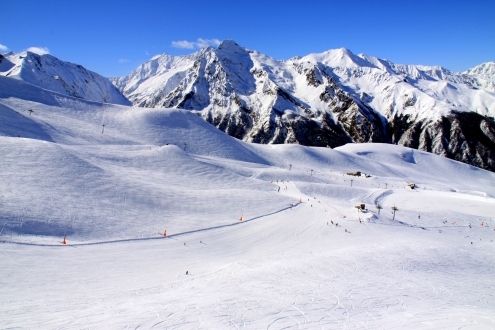 Above the elegant spa town of Cauterets lies the “Cirque Du Lys” ski area, a natural snow bowl extending from 1350 to 3250 metres with 35km of runs and an “Oakley” Freestyle snow park. 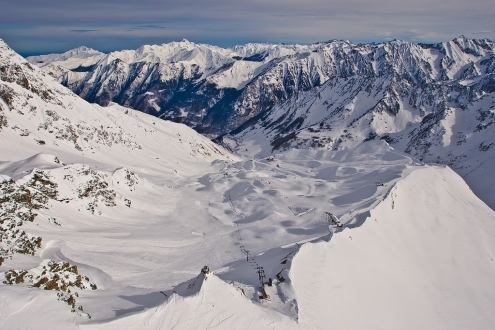 The resort’s altitude and exposition make it the most snow assured and latest closing resort in the Pyrenees. Furthermore, on 7th Feb. 2013 it was the resort with the most snow in the world! Situated above the pretty village of Luz Saint Sauveur lies the ski resort of Luz-Ardiden. The ski area extends from 1680 to 2500 metres with 60km of lift-served runs and 5km of cross country and snow shoe trails. Luz-Ardiden also features some great off-piste, a snow park and 105 strategically placed snow canons ensure great snow coverage at all times.